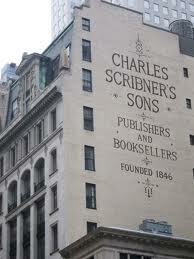 …novelist F. Scott Fitzgerald, 29, is reassured by his editor at Scribner’s, Maxwell Perkins, 41, that there is great hope for his newest book, All the Sad Young Men, a collection of short stories, most of which have been published in the Saturday Evening Post. Fitzgerald had written to Perkins that he was worried the book wouldn’t sell even 5000 copies. But Perkins responded that he felt the stories were not only commercial, but also literary. One, “Absolution,” was the beginning of what became Scott’s third novel, The Great Gatsby. Published last year, Gatsby has been well received critically, but Fitzgerald is disappointed with the sales. Perkins likes to bring out a short story collection soon after publishing a novel, to capitalize on the author’ popularity. For the first time in over four years, I am no longer in financial debt to you—or rather I won’t be when the money from my short story book becomes due me. But in another sense I shall always be in your debt—for your unfailing kindness and confidence and obligingness to me in all my exigencies during that time. Never once was I reminded of my obligations which were sometime as high at $4000, with no book in sight. Manager as Muse explores Perkins’ work with Fitzgerald, Hemingway and Thomas Wolfe and is available on Amazon. …Ernest Hemingway, 26, wakes up and makes his decision. The day before he had met with Horace Liveright, 42, the publisher of his first book, In Our Time. They had had a pleasant discussion, but confirmed that Liveright could not publish Hemingway’s latest novel, The Torrents of Spring. In fact, Ernest had purposely written Torrents as a vicious parody of the style of his friend, Sherwood Anderson, 49, Liveright’s top novelist. Manager as Muse explores Perkins’ work with Fitzgerald, Hemingway and Thomas Wolfe and is available in both print and Kindle versions from Amazon.